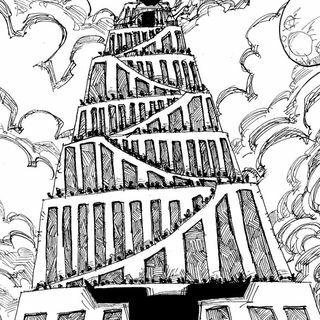 Everyone knows the Sunday School story of The Tower of Babel right? A maniacal King named Nimrod tries to build a tower to Heaven so he can fight a war with the angels. While conducting unnatural experiments and dark rituals to make himself into a giant. Then God seeing how all of mankind are working together to build the tower freaks out over their infinite potential. God cursed the humans to be divided and scattered by confusing their language, knowing that divided they would eventually war ... See More and kill each other. Right?